"Tell the Hash friends I say Hello and that I remember all of them very dearly." Jim's obituary: James Hewlett Westlake, born in Washington, D.C., on February 27, 1946, passed away on Monday, May 12, in Sebring, Florida at the age of 68. Jim is survived by his wife Elizabeth (Betty) Glass-Westlake, his mother Virginia Westlake of Orange, VA, his sister Sharon Goodman of Haymarket, VA, his son Sean Westlake of Anthem, AZ, his son Scott Westlake of Leesburg, VA, and grandson Hayden Westlake of Leesburg, VA.
Jim leaves a large group of family, friends and colleagues who will always miss him for his dedication, drive, and his relentless positive outlook. A current resident of Sebring, Florida, he was a 56-year resident of Northern Virginia, living in both Arlington and Vienna. He earned a bachelor’s degree from American University in Washington, D.C. and A.A.S. from Northern Virginia Community College in Alexandria, VA.
Jim was employed by Northern Virginia Community College as an Instructor and Laboratory Supervisor. In 1978, he joined the National Automobile Dealers Association (NADA) as a Field Consultant. He started the NADA’s Training Services Department as the Manager of that group. Jim held several positions with NADA’s Dealership Operations Group, before becoming Associate Director of the American Truck Dealers (ATD), a Division of NADA in 1982. In 1986, he was promoted to Director of ATD, and in 2003 promoted once again as Executive Director of ATD. 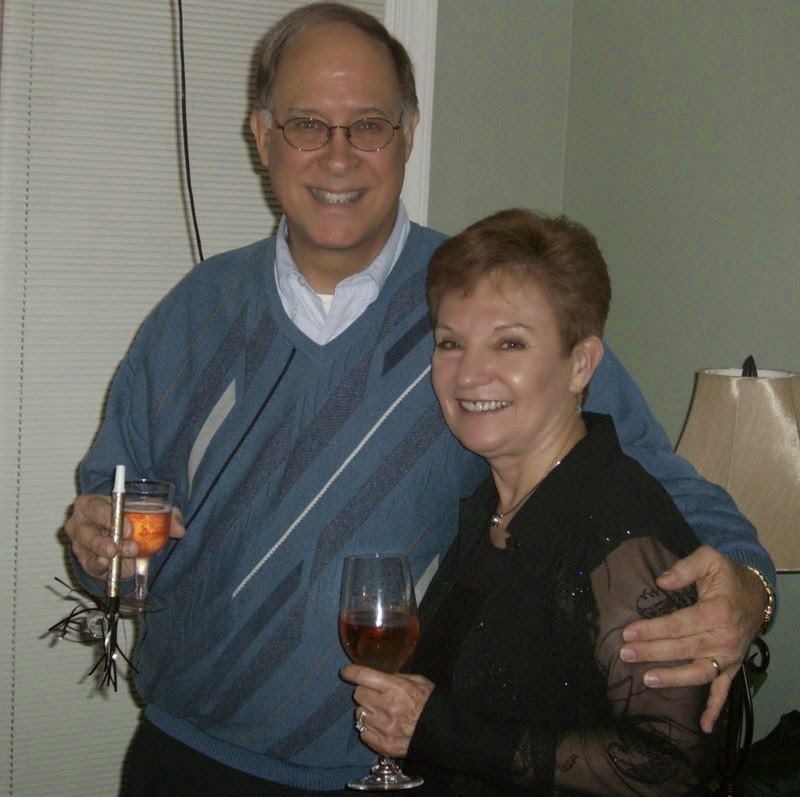 He retired from NADA/ATD in August of 2009 and moved with his wife Elizabeth (Betty) to Sebring, FL in 2010. No services will be held. 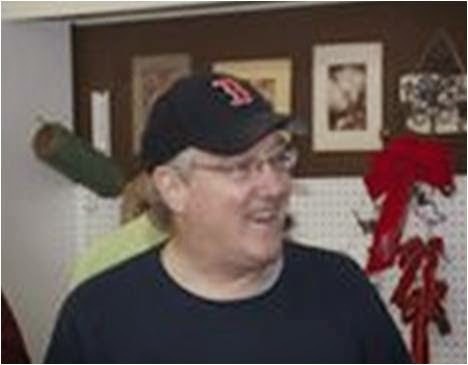 Memorial contributions may be made in James' memory to The National Kidney Foundation, 1040 Woodcock Road, Ste 119, Orlando, FL 32803-3510 or American Heart Association, P.O. Box 84092, Dallas, TX 75284-0692 or Good Shepherd Hospice, 1110 Hammock Road, Sebring, FL 33870. Bea Ross died at home on Friday 25 October 2013. To Bea or Not to Bea hosted the hash numerous times at her home in Ashburn, and always offered us a great party with a generous buffet. For the 31st anniversary hash, she made nine pounds of Southern-style barbecue spareribs. Betty 'Tequila Sunrise' Glass remembered: "Sometime in 2007 Bea was walking with my husband, Jim Westlake (It's Too Long) and Bea asked Jim what was his hash name and he said It's too long! So she answered it's OK I have a lot of time. So Jim told her the story of why he got that name." Alan came to the Great Falls Hash through the introduction of Dr. Pecker, Ph.D., around 2007 or 2008. He was a regular participant in the walks and an enthusiastic participant in the beer drinking, and liked to linger at the On-In, frequently one of the last to depart. Ole Fud remembers that Alan often walked with him and the Mufti, and they really enjoyed listening to Alan propound on a wide variety of subjects. "He was very wise," Ole Fud reports. Alan was a Navy man, and Cockpit Ejeculator recalls numerous conversations on military subjects. He and Dr. Pecker played baseball of impressive quality in their halcyon youth. The Mufti, and many others, fondly remember Alan hosting a snowy hash (#1,505) in late 2009, where the hares had to set live as the marks of their pre-set were covered by the rapidly-falling snow. Alan's 100th run was in November 2010. Alan's car hit a median strip and flipped over in November 2012. He was in intensive care for four months, and died at the hospital 23 February 2013. He leaves a son, John, and daughter, Jenna. The Great Falls Hash will miss his fund of stories and unflappable good cheer.